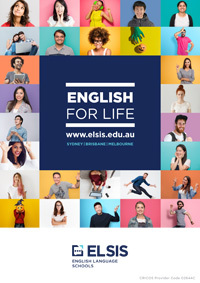 By Mail, Send to ELSIS Student Admissions, Level 1, 160 Sussex St, Sydney, 2000. In Person, ELSIS Sydney Reception/Admissions desk, Level 1, 160 Sussex St, Sydney, NSW 2000. In Person, ELSIS Melbourne Reception/Admission desk, Level 7, 399 Lonsdale Street, Melbourne VIC 3000. In Person, ELSIS Brisbane Reception/Admission desk, Level 1, 126 Margaret Street, Brisbane, QLD 4000. Bank draft: Payable to the Education Centre of Australia. Credit Card Payment: You will be redirected to our Pay by Credit Card page. Step 6: Receive a Confirmation of Enrolment (Student Visa Only) Upon receiving your signed letter of acceptance and your first payment, ELSIS will send you a Confirmation of Enrolment (CoE). You can then take this CoE to any Australian Embassy or Consulate and apply for a student visa. Step 7: Arrange your travel details Step 8: Review the “ELSIS Orientation Manual” To help you prepare for your arrival in Australia and beginning your classes at ELSIS, we provide our Orientation guide. Each campus has its own Guide specifically for each city. Should you need a translation, please do not hesitate to contact us.